A series of tactics designed to increase a website’s visibility and ranking in search engines is defined as search engine optimization (SEO). This means that you want to be found when patients are searching for the services and treatments that you offer. This can be accomplished through a combo of on and off-site factors with the overall purpose of driving qualified and high quality traffic to your website, winning new patients and getting ahead of the competition. As more than 85% internet users search for websites through search engines, SEO is crucial for your success and a cost effective way of staying ahead of your competition. 1- You need to keep your website uncluttered and keep it organized with relevant and unique content and easy-to-use navigation. In addition, you need to keep it updated frequently so it remains fresh for new and returning visitors. 2- As per Mobilegeddon, you have to make your website mobile friendly. Statistics indicate that most dental and medical patients use their mobile and tablets for searching for treatments and other services. This means that your website has to be responsive and easily seen on mobile on all platforms so it is easily accessible. 3- The updates also show that you should list your dental or medical website on Google places and maps, Yahoo Local, Manta, Yelp and other directories. You should encourage your patients to leave you reviews and positive comments and you should also provide complete business detail. It will not take long for the website to show up on the first page of Google’s map and local searches. 4- Your website should also include links of your social media profiles on Twitter, Facebook and Instagram. These serve as backlinks and social media also has a powerful impact on your search engine rankings. 5- You should also make a sitemap for your medical or dental website design, as it provides a detailed listing of all your webpages. You should also optimize your webpages individually to get greater exposure. 6- Content still remains highly important in getting higher rankings. You should post regularly and not stuff keywords onto pages. They should offer valuable and useful information to the readers to be tracked by search engine crawlers. 7- Flash is going out of style so you should try to cut it out and use other images and animations. Make sure that you use proper captions for explaining the pictures. 8- Don’t forget to check your page’s load times because the latest update says that webpages need to load faster if you want them to be ranked higher. 9- The domain name should remain consistent because search engine optimization can be enhanced with website reputability and domain age. 10- The title tags of your dental website should contain relevant keywords and make sure you have variety because they show up on your browser. 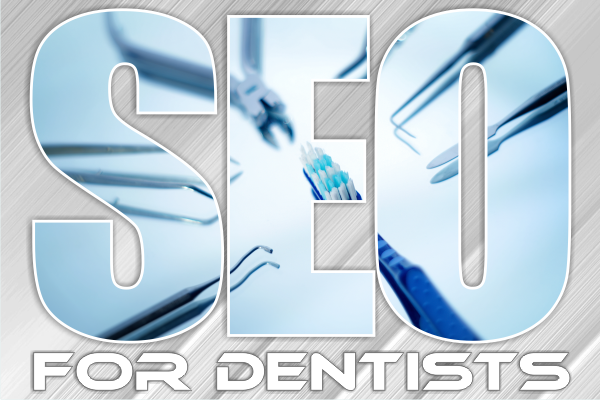 Your dental or medical website can be optimized with these effective SEO tips.